Those of you who worked with me in my previous role as dean of the Leadership and Management School at the Foreign Service Institute may well have heard me talk about what good Foreign Service leaders do when they arrive at their new job. They consult intensively with stakeholders to form an assessment (Is this ship on course, off course, or sinking?) and to forge a vision for the years ahead (What is the best we can do in this situation, with the resources we have, to deliver for the people who put us here?). The next step: rally the troops behind the vision. Then, remove obstacles to achieving the vision and align resources behind it. Finally, celebrate success and reward your people. As I write, about seven weeks after taking office, we are well into the first phase of forming an assessment and refining the vision, while moving smartly into the effort to align resources behind it. As president of AFSA and chair of the Governing Board—and as a big believer in transparency and accountability as foundations of good governance—I want to share my initial assessment with you, the people who put us here. Bottom line: The state of our association is strong. 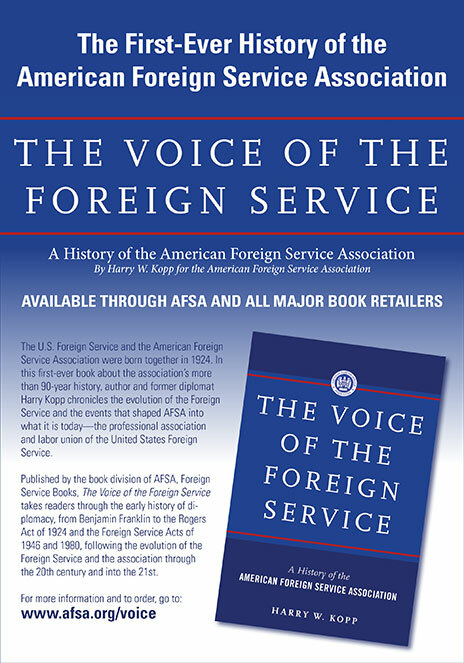 AFSA has 16,500 members, including almost 80 percent of all active-duty members of the Foreign Service. Our finances are sound: AFSA has just come through the annual outside audit with the highest organizational rating. Efforts by the previous Governing Board and staff improved internal AFSA governance by creating written operating procedures reflecting best practices. 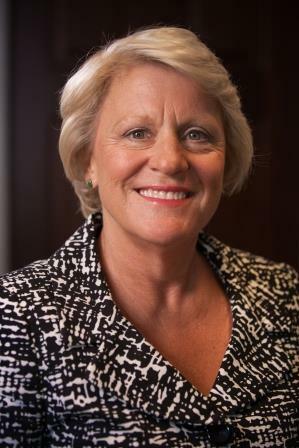 With nearly 40 dedicated professionals on the staff, AFSA is well positioned to deliver on the vision of making the Foreign Service stronger in fact and in reputation. That vision is undergirded by the three pillars I outlined in my first column. While the effort to refine the vision is still underway, I offer this update in the hope that the benefits of modeling transparency and inviting thoughtful collaboration outweigh the risks of communicating prematurely. Comprehensive workforce planning. The desired outcome is a cohesive, robust, resilient, confident Foreign Service fit to lead America’s foreign policy through the challenging decades ahead, as power becomes more diffuse (less concentrated in U.S. government hands) and the already rapid pace of change accelerates. To effectively advance America’s foreign policy interests in the face of these challenges, we in the Foreign Service will need to up our collective game. We are pulling together a comprehensive picture of our workforce and look forward to sharing that overview with you, our members—who are by definition stewards of the Foreign Service. We are simultaneously working with management to address short-term challenges in a way that delivers on the long-term goal of a strong, resilient, confident Foreign Service. Finally, to guide the effort, we are formulating a program of benchmarking to glean and then share best practices so that members of the Foreign Service can be informed and articulate about how to apply these best practices to the governance of our own organization, the Foreign Service. Outreach to tell our proud story to the American people. 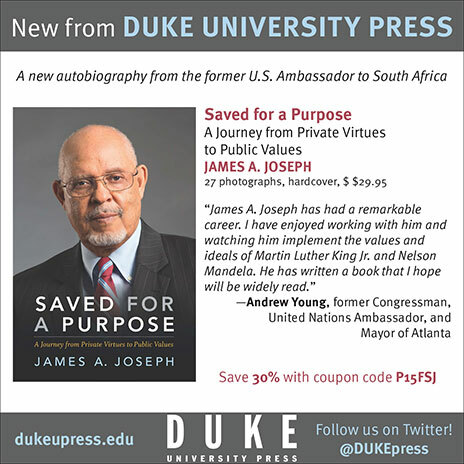 Our goal is to increase awareness about, and favorable views of, the Foreign Service among the American people. In strategic terms, we are looking at elements of the message that most resonate, and we are weighing whether to narrow our target audience to key states. In practical terms, we are seeking funding to support this effort, which we envision having two major components—a retiree-driven effort complemented by an outreach program featuring Foreign Service members on active duty. Inreach to our members. In this third pillar of work, which ties back to the benchmarking effort in the first pillar, we seek to spark and sustain a structured discussion about issues affecting our profession. I want you, AFSA’s members, to be fully engaged and informed, knowledgeable about best practices and prepared to advocate for good governance in the Foreign Service. I welcome your feedback and your ideas. 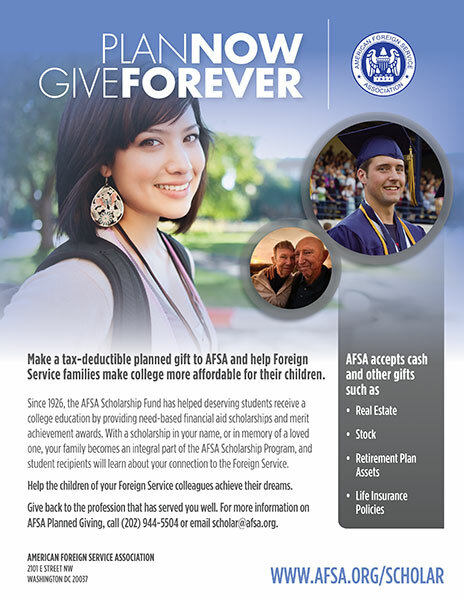 You can reach me at Stephenson@afsa.org.